Saudi Aramco and JGC Catalysts and Chemicals Ltd (JGC C&C) have developed the CAN series of hydrocracking catalysts for converting heavy hydrocarbons to diesel and gasoline products. 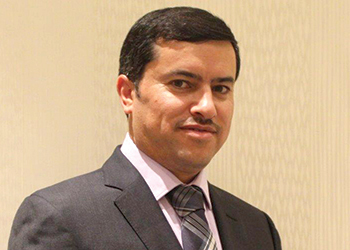 The CAN-15 catalyst has been successfully deployed at the Riyadh Refinery and has been in operation for over 30 months, says Ahmed Al Ghamdi, Manager, Process & Control Systems Department, Saudi Aramco. "Going forward we plan to deploy other CAN series catalysts (tailored to requirement) within our refineries both inside and outside the kingdom. There will be a presentation about the CAN catalyst development during the MEPEC (Middle East Process Engineers Conference) technical programme later this year," Al Ghamdi tells OGN in an exclusive interview. Saudi Aramco has employed hydrocracking process for converting vacuum gas oils to distillate range material from the mid-eighties. In fact, the Riyadh Refinery operates feed with boiling points above 700 deg C, and converts the same to distillates to meet the kingdom’s demand, he says. "Our refineries have invested in clean fuel projects to reduce sulphur levels in diesel and gasoline products to 10 ppm. We have had an aggressive flaring minimisation program that reduced our flaring by more than 78 per cent over the years." Monitoring and upgrading Aramco’s sulphur plants to ensure that they meet the regulations of SOx emission levels is another focus area. On the optimisation front, Real Time Optimisation models are applied across all refineries, along with a master LP model with OSAS to ensure the most optimum products mix across the entire refining business. In addition, Saudi Aramco has a centralised advanced Engineering Solution Center to provide collaborative and innovative ideas for refineries’ optimisation, he says. Referring to Aramco’s role in Saudi Vision 2030, he says: "In Vision 2030, we are exercising our access to the global market and partnership with technology suppliers, to increase the local content and bring in-kingdom the manufacturing of the goods and services we need for Saudi Aramco." Could you elaborate in detail the challenges that you face in your efforts to balance the need to cut costs while at the same time tightening environmental and product quality regulations? I can see two major challenges of reconciling between economics and tight environmental regulations; first finding cost-effective proven technology, and second applying energy efficient solutions on the existing facility. The choice we make today will impact generations to come. We always encourage our engineers to take a broader approach to resolving a particular problem – for example, focusing away from literally building or operating more facilities that are energy intensive, to facilities with increasing energy efficiency that benefits not only the kingdom, but the environment as a whole. In an era of variable crude and feedstocks, how do you ensure that refinery adjusts to accommodate the variable inputs? Yes, there are obviously technical risks associated to variable inputs, especially when feedstocks can originate from unconventional resources. Therefore, to ensure that technology at the refineries can deliver the expected performance, sound engineering practices and risk management assessments are applied throughout the company. For example, comprehensive technology selection standards and operating guidelines were and are continuously developed – not only to meet the required product specifications, but to retain the knowledge within the company for future application. What role does process control play in maintaining high equipment reliability? We in process control have a proactive approach in maintaining high equipment reliability, through an in-house developed online Asset Integrity Management System (AIMS). In the AIMS, upper and lower limits for critical operating parameters were set from an asset integrity perspective and alerts are triggered upon exceedances for respective Subject Matter Experts attention. In addition, internal performance benchmarking reports are issued regularly to assess and compare performance of all operating facilities with each other, to identify areas for improvement. The topic of energy efficiency is now a major strategic consideration. How do you tackle the issue given that many plants that are working are rather old and already been tuned to the limit? Saudi Aramco has recognised the value of energy efficiency since 2000, when it established its award-winning Energy Management Program. The objective of this program, which is backed by a CEO-signed energy policy, is to make sure that we are an energy-efficient energy supplier. In the last 17 years we have achieved a lot, including our renowned cogeneration program, conducting energy assessments for all existing facilities, and reviewing all designs for new plants, to make sure they are energy efficient. We also established a corporate Energy Efficiency KPI to drive better performance, and keep the momentum going. We are also pushing for adopting new technologies and conducting relevant research that resulted in nearly 50 granted US patents (with more in the pipeline). All of these efforts allow us to drive the energy efficiency performance across the company operations to whole new levels. How does one implement operational bypasses and/or maintenance bypasses? What are the risks involved? Any bypass operations need to be fully justified and there has to be proper risk assessment upfront, and management preapproval with adequate escalation. These bypasses are sometimes required to fix or replace defective devices, instead of interrupting the whole plant operations. Yet, the operators have to stay vigilant during this short time of bypass mode and there has to be the means to ensure removal of the bypass after maintenance. The risks are high since it involves flammable hydrocarbons at high pressure and possibly still with high H2S. An isolation procedure needs to be established before proceeding with the bypass operation. A Job Safety Analysis shall be conducted to ensure all associated risks are identified, and appropriate mitigation actions are in place to eliminate, or at least minimise the risk to acceptable level. Are there simple things that organisations can do to improve process safety management and reduce risk? The two major contributors to industrial incidents are improper Process Hazard Analysis (PHA) and improper implementation of the Permit to Work (PTW) system. Conducting and implementing recommendations out of PHAs, along with enhancing awareness on how to do proper hazard analysis, will improve an organisation’s process safety significantly. As an organisation, what are your expectations from MEPEC 2017? MEPEC 2017 is the 4th event since the first one in 2011. We always look forward to MEPEC as the premier venue for our process engineers to enhance their knowledge from the conference program, such as panel discussions, technical presentations, poster sessions, and exhibitions. For MEPEC 2017, we expect more new technologies, highly interactive sessions, which provide an opportunity to enhance networking with participants. 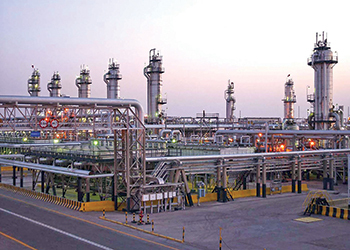 What does Aramco stand to gain from events such as MEPEC? The main value that MEPEC provides Saudi Aramco employees with knowledge sharing and networking opportunities. Having the world’s top experts at the conference, and discussing challenges and potential solutions in an interactive environment, is a knowledge transfer event.